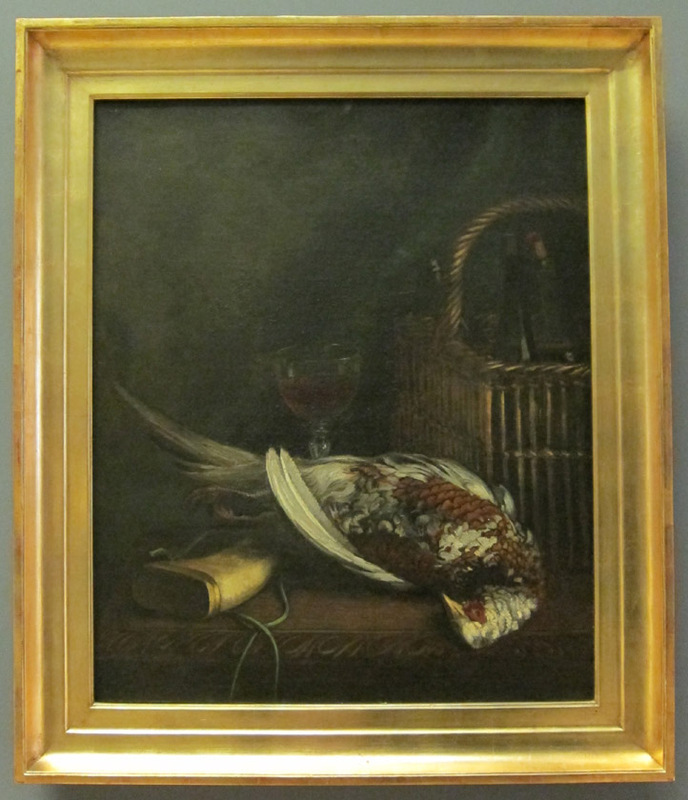 For starters, this painting was done by a famous French painter. You have heard of this person – no trick questions here! It is very common for an artist’s style to change over his or her career and this is certainly the case for this painter. Interestingly, very few examples in this style survive which is why I did such a double-take in front of the canvas. This is one of only a handful of staged, studio still life pieces he completed. 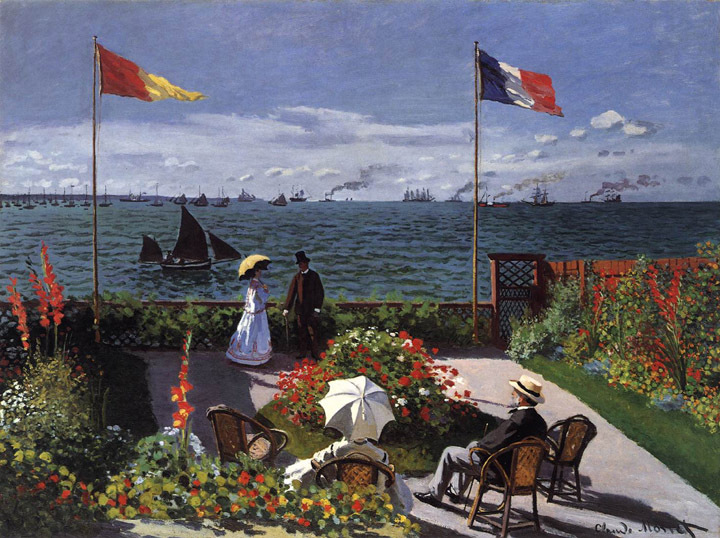 Monet – the Father of Impressionism! Surprising, non? Like any young artist in the mid-19th century, Monet started by copying masterworks in the Louvre and imitating the realism of the prevailing Neo-Classical and Romanticism style. The palette is dark and the brushwork is almost hidden. 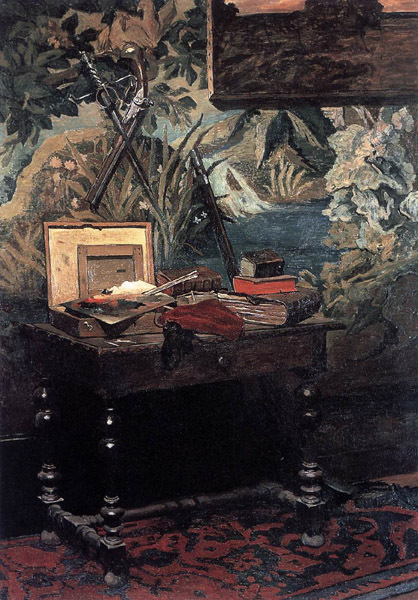 Below is another piece he completed in 1861 to give you an idea of how Monet was learning to paint. 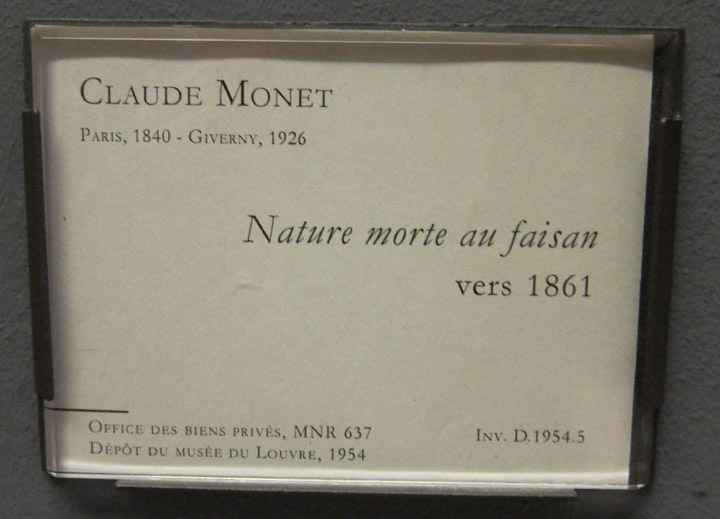 Thankfully Monet was encouraged to work outdoors by his early mentor and noted landscape painter Eugène Boudin. Along with like-minded painters he met in Paris, he soon began experimenting with light, color and brushwork all while en plein air. 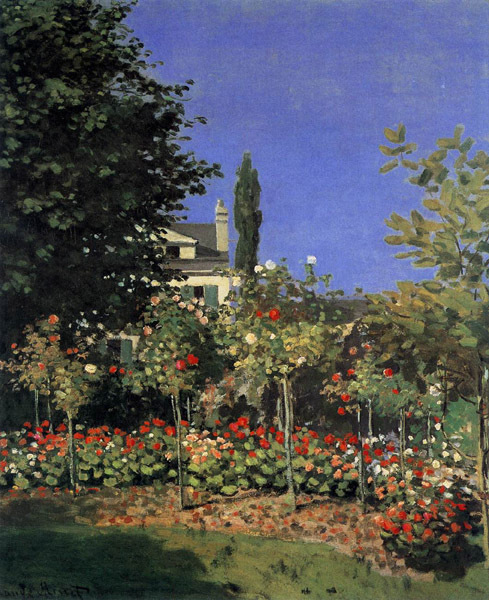 About five years after Nature morte au faison, he painted Garden in Bloom in Sainte-Adresse and Garden at Sainte-Adresse while back home in Normandy (see below). These radiantly colorful, soft and relaxed compositions are a radical departure from his formal education. I have always loved when an artist’s style changes and develops over his or her career. I like seeing how the artist thinks about a composition and experiments. Taken as a whole, the arch of the career can be informative. So did you guess Monet correctly, and if not, who did you think completed the “Mystery Painting”? Great post, really interesting outline of his evolution. Thanks! It’s a prompt and dramatic transition.